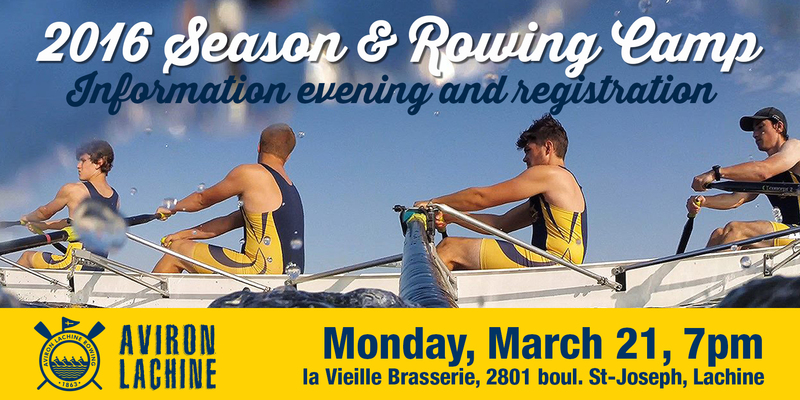 The Lachine Rowing Club invites you to a special information and registration evening on Monday, March 21st at 7pm. The event will take place at La Vieille Brasserie, 2801 St-Jospeh Blvd in Lachine. You will be able to meet members of the club as well as employees and be able to register for the upcoming 2016 summer season. 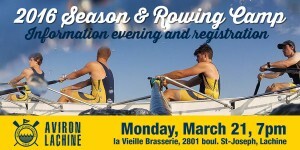 It will also be the ideal moment to register your teenagers to one of our amazing summer rowing day camp. All the information regarding our camps and rates will be available on site, the 21st of March. We hope to see you! 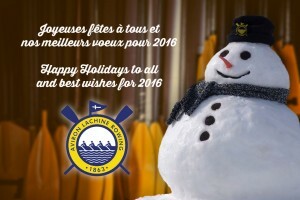 Happy Holidays to all our rowers and their families! We would like to wish you and your families a great Holiday Season and a Happy New Year! Our winter schedule is in effect and we will keep you posted on the 2016 summer schedule in the coming months. The club is officially closed for the season. 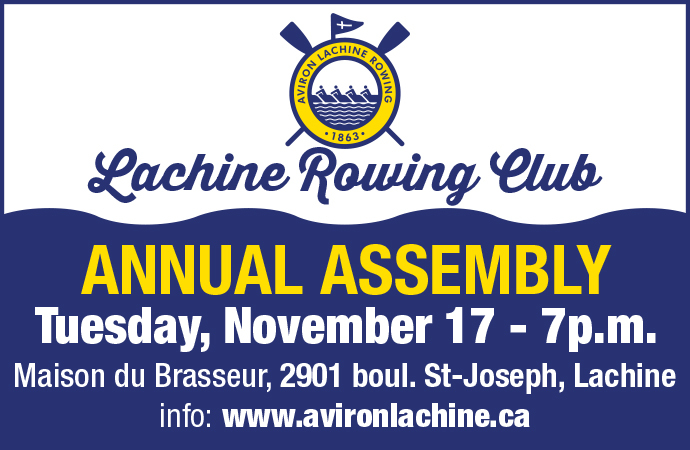 The docks have been removed and we hope you had a great 2015 rowing season with the Lachine Rowing club. We will keep you informed shortly with our winter training schedule as well as our future projects for the 2016 summer season. We thank you for your loyalty and your continuous support. 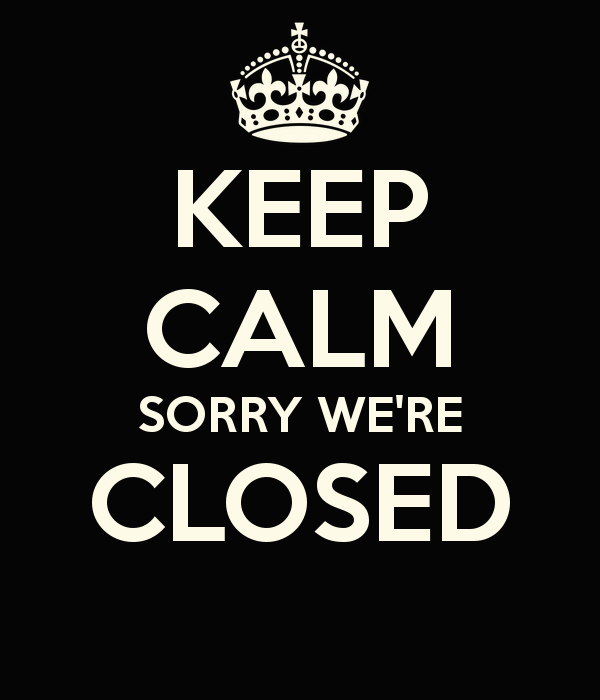 We hope to see you at the closing chore this coming Saturday, October 31st, at 9 am.